Thinking of taking apple cider vinegar for blood pressure spikes, but not sure how to take it or what it can do for you? In this article, I will tell you all about ACV. First, however, I want to take a moment to talk about high blood pressure. High blood pressure, also known as hypertension, is a scary condition. When your blood pressure is elevated, you are at a heightened risk for serious health problems such as heart attack, stroke, aneurysm, kidney problems, metabolic syndrome, and even issues with memory. This is a problem even if your blood pressure isn’t high all the time. Wild fluctuations up and down can also be very dangerous. Naturally if you are diagnosed with high blood pressure, you are going to want to take immediate action to protect your health. • Eating a healthier diet. • Decreasing the amount of sodium you eat. • Exercising on a regular basis. • Avoiding smoke and alcohol. • Reducing stress where possible. You may also be prescribed a medication to control your blood pressure. It can be hard even taking all these steps to get your blood pressure under control. Nothing is more frustrating than making sweeping lifestyle changes and finding your readings are still high. For that reason, many people with hypertension turn to home remedies. There are numerous different foods and herbal supplements which are recommended for high blood pressure. 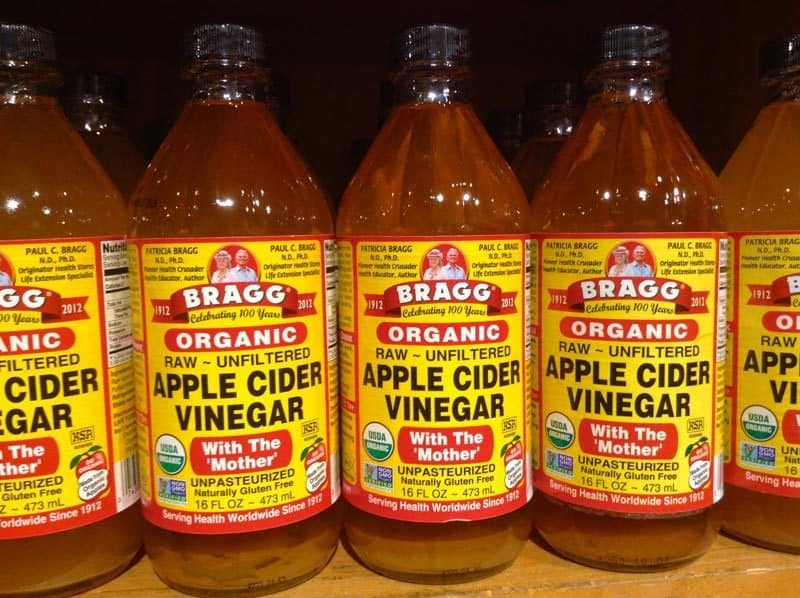 One of the most popular remedies right now is apple cider vinegar. Does Apple Cider Vinegar Lower Blood Pressure? Let’s get straight to it. Is the apple cider vinegar high blood pressure cure backed by science, or is it just an old wives’ tale? As of right now, researchers are not entirely sure whether vinegar is capable of lowering blood pressure or not. As you can see in studies such as this one, the evidence is mixed and ambiguous. “Evidence linking vinegar use to reduced risk for hypertension and cancer is equivocal,” write the authors of the study. Here you can read about a study which demonstrated that eating sugars can raise blood pressure—independent of weight gain. In other words, spiking your blood sugar may increase your blood pressure. • Taking apple cider vinegar may help you to feel full sooner, making you less likely to overeat. If you do not overeat, you may manage to lose weight or maintain a healthier weight. This in turn may reduce your blood pressure. • Vinegar may reduce the glucose response to the sugars you do eat, whether or not you are diabetic. This may help to maintain your blood glucose within a healthy range, which in turn may prevent your blood pressure from rising. So there is some scientific backing for the apple cider vinegar blood pressure home remedy. Researchers obviously will need to look into it further before we can be sure that it really is effective, but right now it does seem like a promising treatment, especially if you combine it with healthy lifestyle choices (ACV should not stand on its own as a treatment). How Can You Take Apple Cider Vinegar for High Blood Pressure? Apple cider vinegar is pretty potent stuff, so you cannot just drink it straight up. It produces quite a burn as it goes down your throat. You should also note that if you have GERD, it is something you may wish to avoid. ACV seems to help some patients with acid reflux while making things worse for others. There are several options for taking ACV for high blood pressure. The simplest way to take apple cider vinegar is simply to dilute it in water. Make sure you are buying the raw, unfiltered apple cider vinegar. This type of ACV has all the nutritional value intact. Simply take a tablespoon or so (slightly more or less is fine), and mix it into an 8-ounce glass of water. Stir well, and drink. If you are battling sour stomach and ACV does help you with that, drinking it quickly is often a good idea. Otherwise, you probably want to drink it at whatever pace is most comfortable for you (you may just want to get it over with; it is pretty intense). • Add a little honey to sweeten it up and curb the burn. • Instead of using water, use juice. • Make a recipe which includes ACV as an ingredient. For example, you can use it as the base for a salad dressing. If you just cannot stand drinking apple cider vinegar but still want the nutritional benefits, one alternative is to take ACV pills. This is just what it sounds like: apple cider vinegar in a convenient capsule form. You just take a pill once or twice a day with a meal. Note that taking it with a meal is important. Otherwise, you are more likely to end up with a burning sensation. Also be sure to down it with plenty of liquid. If you get one stuck in your throat, you will end up feeling it. 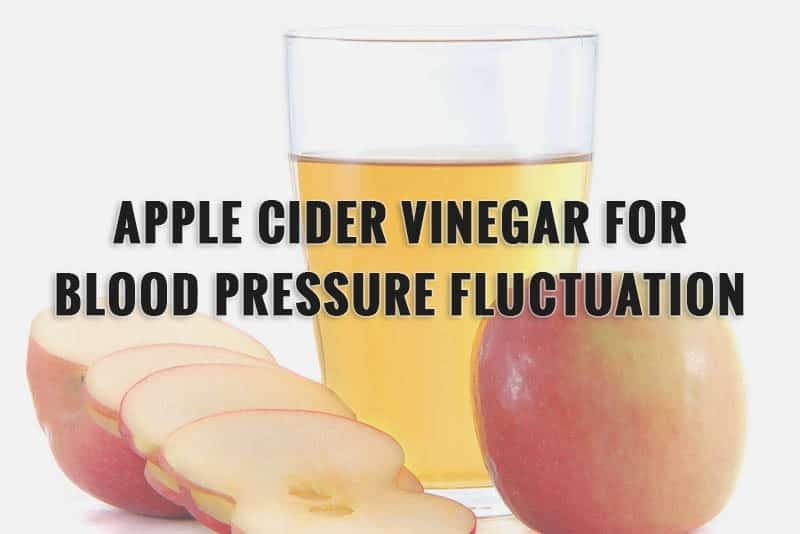 Taking apple cider vinegar is an easy home remedy for high blood pressure. While scientific evidence right now is still a bit sparse, it is promising. You will also find plenty of anecdotal evidence. ACV also has many other health benefits. Give it a try, but make sure to also follow traditional treatment advice for managing your hypertension or blood pressure spikes!